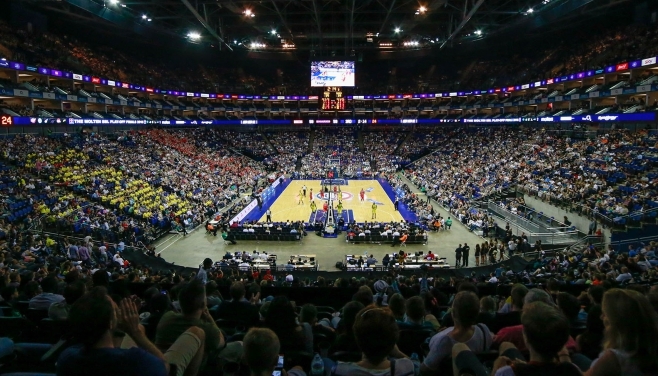 The British Basketball League (BBL) has been at the pinnacle of British hoops since its inception in 1987, and represents the highest level of the professional game in the UK. The league has a colourful 30 + year history including great teams, dynasties, memorable moments, and unforgettable players and coaches. Much of this fascinating history is documented within the pages of this website, please visit the history section of the site. Currently there are twelve franchises across the nation, spanning Plymouth in the south-west all the way up to Glasgow north of the border. For more information about the current eleven franchises visit the clubs section of this site and to find your nearest BBL team, click here. BBL clubs are increasingly built on the foundations of strong community programmes, driven by the league’s Hoops4Health initiative. Whilst providing positive role models for young people, clubs are also actively involved in developing the next generation of British basketball players and promoting the sport, and associated healthy lifestyles, to young people in their localities. To read more about this highly acclaimed programme, and increasingly important aspect of the BBL, head over to the Basketball Foundation website. The BBL has commercial partnerships with Perform, BBC, FreeSports, UNILAD, Molten UK, Kappa, Tickets.com, Genius Sport and Synergy. The BBL is owned and run by a twelve person board, which includes one director from each club, and the league is administered by a central office. To contact the BBL, please click here.